The Riverview Community Action Corporation is a non-profit agency whose mission is to promote community involvement, pride, and awareness through the provision of services and programs that will enhance the quality of life of the residents of Oakmont, Verona and the surrounding communities. From its humble beginnings in the basement of the Oakmont Carnegie Library where it all began in 1966 Riverview Community Action Corporation continues to grow and thrive. Today, this multi-faceted organization is housed on the corner of Second Street and Delaware Avenue in Oakmont – under the bright blue canopy. 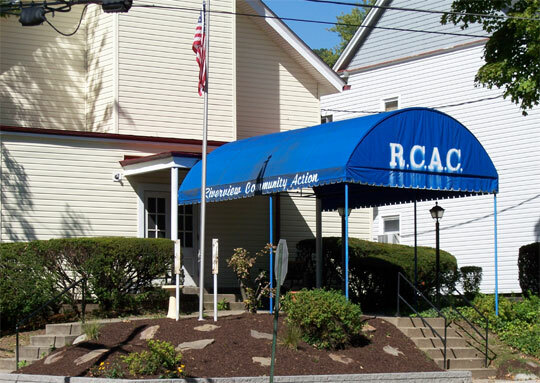 RCAC is one of Allegheny County’s thirteen original community centers and continues to grow and expand services in an on-going effort to meet the needs of the residents of the twin boroughs and neighboring communities. RCAC is a private, non-profit agency, which holds a federal 501(c)3 tax-exempt status and maintains a Charitable Organizations Certification. Amazon will donate 0.5% of the price of your eligible AmazonSmile purchases to Riverview Community Action Corporation whenever you shop on AmazonSmile. Click to start shopping now!